I do apologise so very much for being tardy with British Food: A History, I have been crazily busy since my move from St Louis, Missouri (US of A) back to Levenshulme, Manchester (UK of A). However I have not been lazy and I have exciting news; I have started up a food business! It is in its very early stages, but I have had more success already than I hoped. 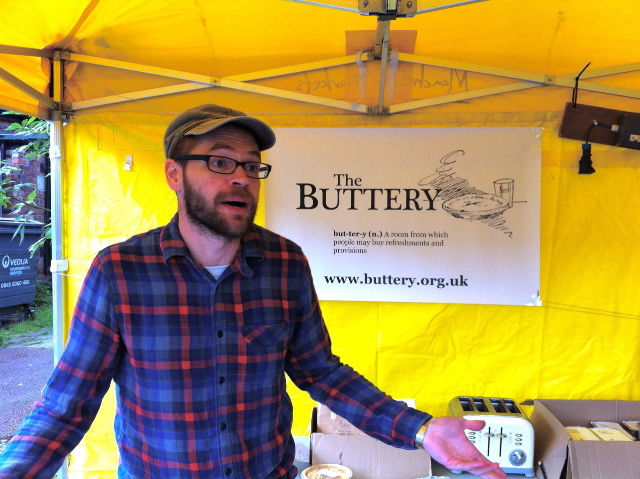 The business is called The Buttery (I couldn’t waste a surname like mine!) and it sells traditional British foods; some classics and some long-forgotten. I have built up such a list of amazing recipes over the years with my two blogs, I thought I should share the wealth and give the business a whirl. So over the last few months I have been designing logos, coming up with menus and working out how the hell I’m going to do this! Needless to say it has taken over my life. 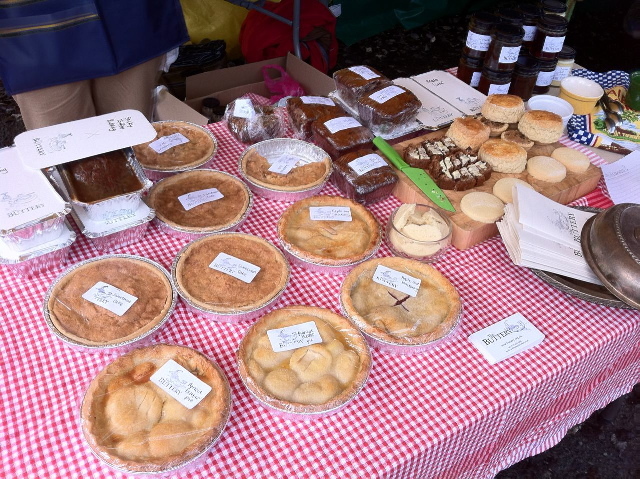 Aside from selling some good proper food, I want the business to be community-based in two different ways: firstly I want to support local businesses and promote the excellent produce that is practically on our own door-step; secondly, I want to offer cookery lessons to the surrounding community, not fancy cooking but basic skills like bread and stock making. If I can get a community grant from the government I’ll be able to do the lessons for free too. However all of this is in the future, so to start off I am doing the local artisan markets in South Manchester. My first one was in Levenshulme last Saturday and it was a complete success. If you live in Manchester, keep your eye out for me in the local markets. The food that I am making fit into four broad categories and many of them appear either on this blog or Neil Cooks Grigson: Savouries, Desserts, Teatime and Preserves & Pickles. Click on The Buttery: Menu to find a pdf of my market menu. If you have any special requests or anything blindingly obvious I have missed out, do let me know! Now that I have had my first market – and it was nerve-wracking on the day – I promise to add posts much more often. Also, I’ll keep you posted with any further developments.